Measurement Innovation is an Australian owned company specialising in the supply and hire of electronic test and measurement equipment. Products include antennas, current clamp meters, DMMs, oscilloscopes, power supplies, RF analysers, RF test sets and LAN analysers. The rentals division Measurement Rentals has a broad range of test equipment for hire from leading brands, all here in Australia and available for immediate delivery. Agilent Technologies, Aaronia AG, Eagle Microwave, General Dynamics, Psiber Data Systems and RF Tools electronic test and measurement systems.Measurement Innovation is an Australian owned company specialising in the supply and hire of electronic test & measurement equipment for commercial and industrial applications.Measurement Innovation has an extensive range of measurement equipment (including for hire) and test equipment available including top name brands. All products are available for immediate delivery.Agilent TechnologiesAgilent Technologies has been the world's premiere Test & Measurement company since 1939. Hand held/Benchtop DDMs Oscilloscopes Function / ARB / Pulse Generators Basic Power SuppliesAaronia AG RF antennas (biconical and log periodic) EMC close-field probes Spectran RF Spectrum Analysers Spectran LF Spectrum Analysers Exposure meters RF shielding materialsEagle Microwave Directional Bridges Power dividers Power Splitters Calibration KitsGeneral DynamicsA broad range of RF Communications test sets, ideal for testing analogue AM/FM and digital 2-way radios. R8000 RF Communications Analyser R8000 3GHz Premiere Package R8000 1GHz Premiere Package Psiber Data Systems Cable testers (including the WireXpert) LAN testers LAN analysers WiFi 3D planning softwareRF Tools software Spectrum logging Signal strength recording Interference measurements Distance to fault (cable fault location) Insertion loss Return lossTraining VideosMeasurement Innovation produces a range of training videos on selected test & measurement products. 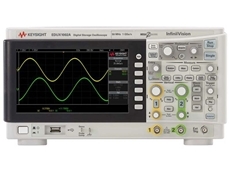 04/02/19 - Measurement Innovation presents the new Keysight DSOX1204G oscilloscopes featuring a frequency range of 70MHz with additional upgrade options for 100MHz and 200MHz. These oscilloscopes come with free delivery when purchased online at www.measurement.net.au.Keysight’s InfiniiVision 1000 X-Series oscilloscopes are engineered to deliver quality, industry-proven technology and professional measurements at an affordable price.The InfiniiVision 1000 X-Series is designed for simple operation, allowing measurements to be easily set up using the industry-standard front panel while the built-in help and training signals quickly get you up to speed. Key features include 70MHz bandwidth provided as standard, license-key upgradable to either 100MHz or 200MHz; built-in 20MHz function generator; professional measurements enabled including Bode plotting (FRA), mask testing, math, FFT, and serial triggering/decode; and more signal detail at 50,000 wfms/sec update rate. Measurement Innovation is the exclusive distributor for Keysight Technologies (formerly Agilent) in Western Australia and the Northern Territory. All models are available for purchase online from the Measurement Innovation website. 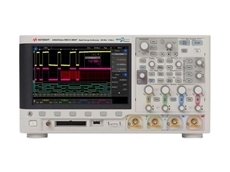 All Keysight models are supplied with a 3-year Keysight warranty and a calibration certificate.We also offer AC power analysers, DC power supplies, RF power meters, RF spectrum analysers, RF network analysers, digital oscilloscopes (CRO), data acquisition, telecommunications and data communications test equipment, fibre test equipment, audio and acoustic measurement, antennas and a wide range of specialist test and measurement equipment for immediate hire, Australia-wide through Measurement Rentals.Measurement Rentals offers a wide range of test and measurement equipment at daily, weekly and discounted monthly rates. For more information, please visit www.measurementrentals.com.au. 31/01/19 - Measurement Innovation announces the availability of the new Keysight DSOX1204A oscilloscopes designed to deliver professional measurements at an affordable price. The Keysight DSOX1204A comes with free delivery when purchased online at www.measurement.net.au.Keysight’s InfiniiVision1000 X-Series oscilloscopes are designed for simple operation, allowing measurements to be easily set up using the industry-standard front panel while the built-in help and training signals quickly get you up to speed. Key features of the Keysight DSOX1204A oscilloscopes include 70 MHz bandwidth with license-key upgradable to either 100 MHz or 200 MHz; professional measurements enabled including Bode plotting (FRA), mask testing, math, FFT, and serial triggering/decode; and more signal detail at 50,000 wfms/sec update rate.Measurement Innovation is the exclusive distributor for Keysight Technologies (formerly Agilent) in Western Australia and the Northern Territory. All models are available for purchase online from the Measurement Innovation website. All Keysight models are supplied with a 3-year Keysight warranty and a calibration certificate.We also offer AC power analysers, DC power supplies, RF power meters, RF spectrum analysers, RF network analysers, digital oscilloscopes (CRO), data acquisition, telecommunications and data communications test equipment, fibre test equipment, audio and acoustic measurement, antennas and a wide range of specialist test and measurement equipment for immediate hire, Australia-wide through Measurement Rentals.Measurement Rentals offers a wide range of test and measurement equipment at daily, weekly and discounted monthly rates. For more information, please visit www.measurementrentals.com.au. 10/04/17 - Measurement Innovation introduces the new Keysight EDUX1002A oscilloscopes to their product range. Featuring two analogue channels and a frequency range of 50 MHz, the oscilloscopes are built for user-friendly operation.Keysight EDUX1002A oscilloscopes come with free delivery when purchased online at www.measurement.net.au. Keysight’s InfiniiVision 1000 X-Series oscilloscopes are engineered to equip the user with quality, industry-proven technology at unbelievably low prices. 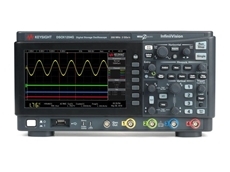 Providing professional measurements, the 1000 X-Series oscilloscopes are not only affordable but are designed for easy set-up with features such as an industry-standard front panel and built-in help and training signals.Key features of the Keysight EDUX1002A oscilloscopes include ability to make professional measurements such as mask, math, FFT, analogue bus and protocol triggering/decode; and 50,000 wfms/sec update rate for more signal detail.Measurement Innovation is the exclusive distributor for Keysight Technologies (formerly Agilent) in Western Australia and the Northern Territory. All models are available for purchase online from the Measurement Innovation website. 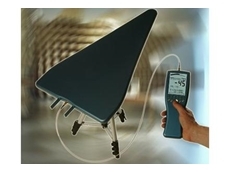 All Keysight models are supplied with a 3-year Keysight warranty and a calibration certificate.Keysight products can also be rented from www.measurementrentals.com.au. 02/04/17 - The new Keysight EDUX1002G oscilloscope available from Measurement Innovation features a 50 MHz frequency range as well as two analogue channels and a function generator. 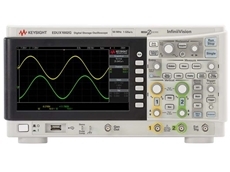 These oscilloscopes come with free delivery when purchased online at www.measurement.net.au.Keysight’s InfiniiVision 1000 X-Series oscilloscopes are engineered to deliver quality, industry-proven technology at unbelievably low prices. Created with the user in mind, these oscilloscopes simplify the measurement set-up process and are also easy to use with the built-in help and training signals allowing one to quickly get up to speed on oscilloscope operation.The EDUX1002G oscilloscope can make professional measurements, including mask, math, FFT, analogue bus and protocol triggering/decode. More signal detail can be seen with 50,000 wfms/sec update rate. It also has instrument integration with built-in 20 MHz wavegen and frequency response analysis.Measurement Innovation is the exclusive distributor for Keysight Technologies (formerly Agilent) in Western Australia and the Northern Territory. 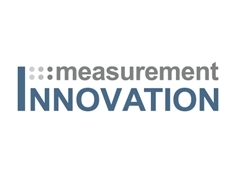 All models are available for purchase online from the Measurement Innovation website. All Keysight models are supplied with a 3-year Keysight warranty and a calibration certificate.These and other Keysight products can also be rented from www.measurementrentals.com.au.